In the Oct. 9 presidential debate, Republican nominee Donald Trump attacked Hillary Clinton for her record on legislating the issues, claiming that she hasn't accomplished anything for families and children. 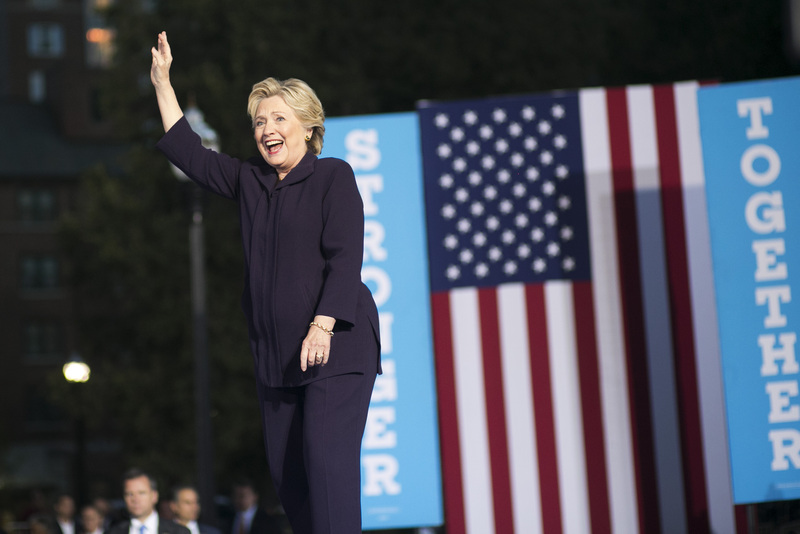 Clinton didn't need to prove Trump wrong — her record speaks for her — but she just proved that she's willing to go further for those most vulnerable Americans than nearly any politician ever has. Clinton announced a new tax policy that would help the very poorest Americans, and it's the ethical economic plan that you've been waiting for. The central issue in Clinton's new plan is helping Americans who survive on less than $2 per day. Shockingly, those families don't qualify for the refundable child tax credit, which gives families $1,000 for every child under 17. If you make under $3,000 (the phase-in limit where the tax credit starts), then you don't bear a tax burden, which made the credit defensible for politicians in the past (it's not welfare, because you have to work to earn it). Now, Clinton is proposing to abolish the phase-in limit, so that those who earn less than $3,000 per year can qualify for it. Families which earned less than $9,667 per year will also be eligible for the full tax credit, where before they could only get a percentage of the $1,000 credit based on their income. The change will provide financial support only to families with children four years old or under, but it's a welcome start to reforming the tax code in an ethical way. Granted, there is a certain logic to having a phase-in income level, because it means that only people who are working and making a certain amount of money can qualify for the tax credit. Part of the American identity is a strong work ethic, and it's not an inherently bad thing to want people to be self-sufficient (that's how a lot of people living on public assistance feel, too). However, there are children at stake here — this tax credit only goes to families with young kids, and they're living on less than $3,000 per year. The moral imperative of society is to care for those who can't care for themselves, so it's time to put politics aside and provide what can be provided for those children. The importance of this policy cannot be understated. According to studies conducted by researchers at the University of Michigan and Johns Hopkins University, the percentage of families living in this level of extreme poverty doubled between 1996 and 2011. In the wealthiest nation in the world, there's no excuse for this level of poverty. An ethical economy must lie at the heart of the United State's financial system, and Clinton's new policy makes sure that taking care of the poorest and most vulnerable won't even be up for debate.